It is the end of July and our fruit on our fruit trees are ripening. 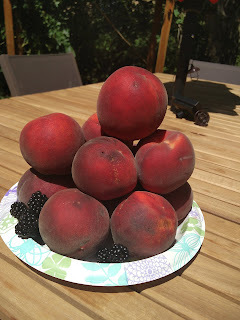 We have several young fruit trees that we have planted around our back yard. 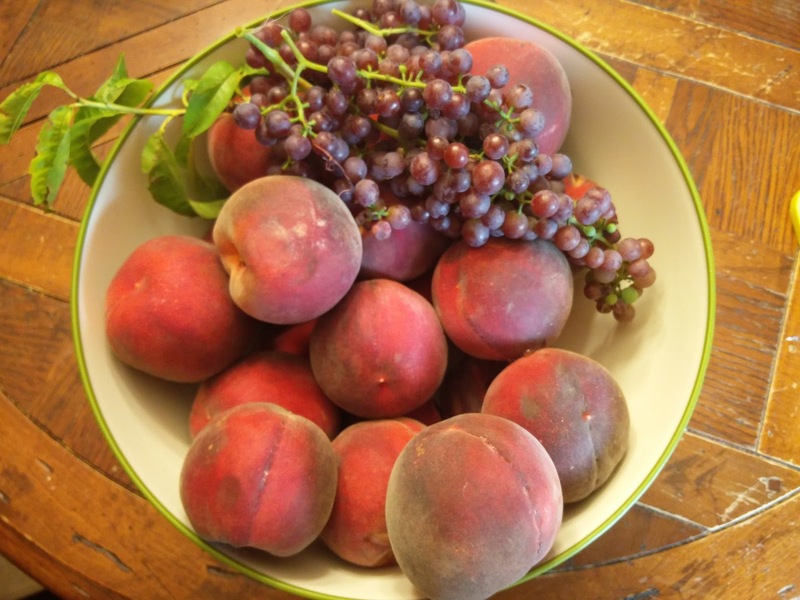 We have a peach tree, a plum, two different types of pear trees, an apple tree and some nut trees - two hazelnut bushes and a walnut tree. We also have two cherry trees, but they are currently in recovery - the place we have them in the yard is a little too hot, so until they reach critical mass and grow big enough, they will struggle. Our harvest this year is lots of GIANT peaches - from our peach tree which is only a couple of years old! Our plum tree is looking like it will also yield a lot of fruit this year. We will get one pear and no apples or cherries. But our blackberry bush (thornless) is doing great and we got a few berries from it. 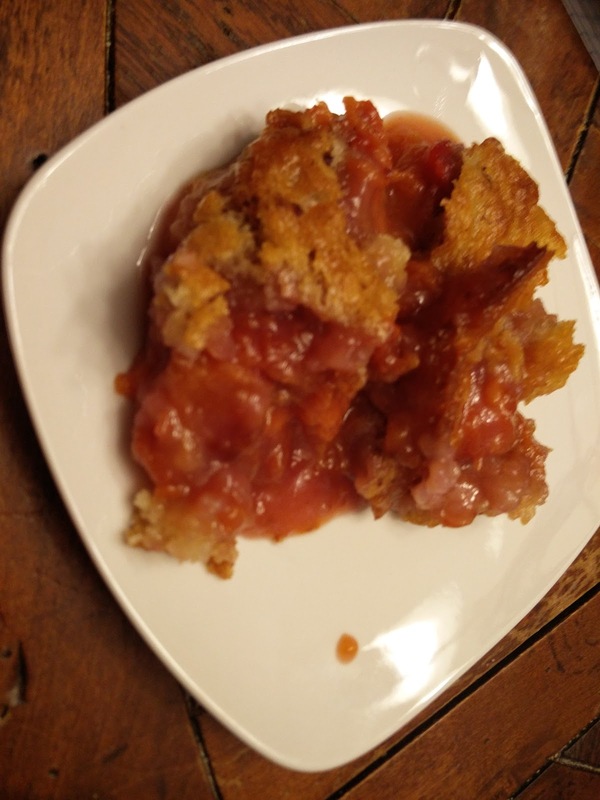 This peach cobbler was super easy to make. We did end up adding a little bit more flour than the original recipe though, because the dough seemed a little too watery to us. The peach cobbler was great! Just perfect with ice cream. We blanched our peaches to peel them first. And we could definitely taste the delicious flavor of peaches picked right from the tree that day; they were a lot sweeter than storebought! 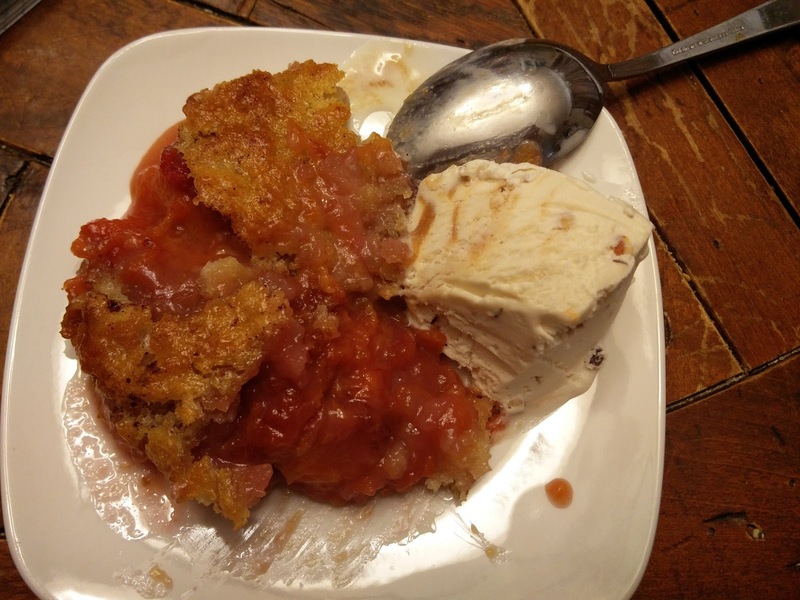 Peach Cobbler with Ice Cream!!! Harvest 1 - with blackberries! 2. Put butter in a 13- x 9-inch baking dish and put in the oven to melt (while oven pre-heats). 3. Combine flour, 1 cup sugar, baking powder, and salt; add milk, stirring just until dry ingredients are moistened. Pour batter over butter (do not stir). 4. Bring remaining 1 cup sugar, peach slices, and lemon juice to a boil over high heat, stirring constantly; pour over batter (do not stir). Sprinkle with cinnamon, if desired. 5. Bake at 375° for 40 to 45 minutes or until golden brown. 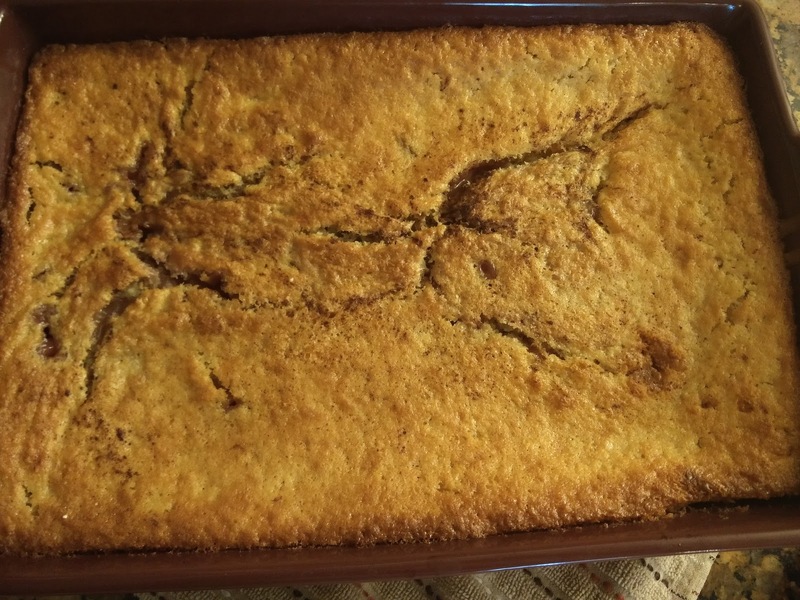 Serve cobbler warm or cool. Best served with vanilla ice cream. Awesome use of our peaches! The cobbler was really good. 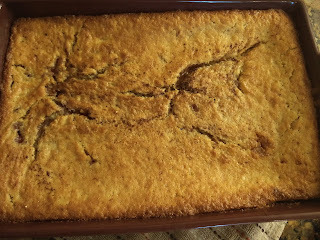 The dough did not seem quite right - it seemed more like pie crust than cobbler crust. It just rose to the top and did not permeate the entire dish.